It goes without saying that cricket, fondly called gentlemen's game, is one of the most popular games played across the globe. Of all the three formats of the game, Test cricket is considered the toughest as it tests the players' skill, character, and temperament. Like in all the other team sports, the captain is the most crucial member of the team, who plays a key role in leading the individuals in the right direction to bring out their best. From selecting the final eleven, to deciding the batting order, to choosing field placements - a captain is involved in everything. Without a captain, the team is a mere clueless herd. That is the reason why he takes the lion's share of credit and criticism in the team's success and failure, respectively. But in reality, a captain is more talked about for his failures than his successes. A Test match loss is a nightmare for him and if it is by an innings margin, it is a disaster. There were some captains in the history of the game who have been involved in multiple innings defeats during their captaincy stint. Let us look at 5 such captains with most innings defeats in their captaincy tenure. The cricketing world remembers Arjuna Ranatunga as the leader who took Sri Lankan cricket to greater heights by winning the 1996 ICC Cricket World Cup with his immaculate captaincy skills. Ranatunga captained the Sri Lankan Test team in 56 Tests from 1989-1998. Out of these, Sri Lanka won 12, lost 19 and drew 25. But 9 out of his 19 losses were innings defeats. 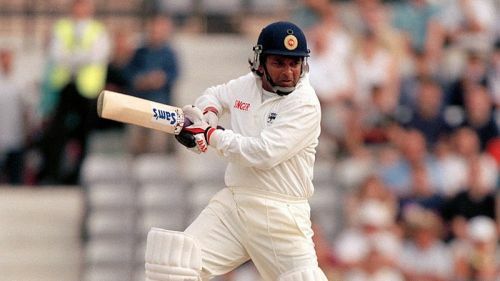 The mighty left-hander has served Sri Lanka in 93 Tests and 269 ODIs scoring 5105 and 7456 runs with the bat and scalping 16 and 79 wickets with his medium pace, respectively.